The smell of fragrant flowers. Trickling calming sounds of water splashing. One with Mother Nature in all her glory. Please note this workshop retreat is limited to a very small number of participants. Please RSVP at your earliest convenience. Details of the event to follow soon! I am happy to announce that I have the schedule of events for the art retreat weekend. I must admit Im a bit nervous, anxious, and scared being this is my FIRST ever art workshop retreat that I have ever hosted. However, I am EXCITED more than anything!!!! I have BIG things planned and it will be a memorable weekend for all! What could be a better way of spending an outdoor spring afternoon than under a beautiful white tent gathered around good friends and filling our creative soul. Please reserve your spot by March 1st. Seating is limited and is on a first come basis. Workshop fee will be due via paypal by March 1st. This will help me know exactly how many tables,and chairs to be reserved and supplies needed. Spring can't come soon enough. Please say you will join me in my Garden. Hello Flower Fairy friends! Im happy to share with you what you will be magically creating in this outdooor workshop. This small project can be "tweeked" to your own personal style and imagination. A garden fairy ornament to hang in your favorite spot! The "main" garden creation will be a large altered assemblage flower pot. This weekend event will be a little of everything and lots of fabulous take home goodies! Friday will be a day trip to gorgeous & charming historic Savannah. A day of lunch, site seeing, and shopping! Saturday is an early tea luncheon, outdoor garden workshop, and when the sun goes down and the stars come out we will enjoy our evening at the home of Suzanne MacCrone for an outdoor garden cocktail party. This intimate workshop is still available for sign up! Please NOTE there is very limited seating so PLEASE sign up early! You can register by emailing me at twinkleshabbystar@yahoo.com . I hope you will join me in my garden! It's here....the first little signs that spring is almost here in the South. Today I walked outside my home and took beautiful snapshots of the budding tree's and vibrant pink azaleas. These little "teasers" is just a little something to get you excited. I cant believe two months from now we will be gathered around creating in this beautiful enviroment and surroundings. No, I did not photoshop this red pinky flower. I promise it truly is this colorful and vibrant! I can't believe after all these months of planning and preparing the event that I have dreamed of hosting is now here. 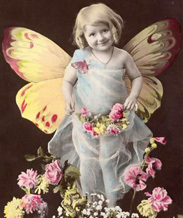 Yes in two short days my flower fairies will be arriving for a fabulous and memorable long weekend! This weekend will be an intimate group of amazingly talented women and I feel so honored that they are choosing to attend my first art workshop retreat. I look forward to showing them the south, and southern gracious hospitality. Welcome to the south and to my home! We are going to have an amazing OVER THE TOP weekend! En Le Jardin....A weekend to remember! Im staring at this post not even knowing honestly where to start. My mind is still on a "high" from the amazing weekend. I did it!!!! I hosted my first art workshop event and it exceeded far beyond my wildest dreams!!! It started with a vision and grew over time. I knew in my mind what I wanted this weekend to be about and I put my heart and soul into bringing it to life. Just and FYI....this post is a bit LONG. I didn't want to break up the post, because I want to capture the WHOLE weekend in one. I've kept the wording simple and filled it with TONS of gorgeous photos. Some are mine, and some borrowed. Meet the girls........ this photo was taken Friday morning on my front steps as we were headed to Savannah in a limo for a day of lunch, shopping, and some serious crazzy fun!!! I have to post at least one photo of us in the limo. We started with lunch at the historical Olde Pink House restaurant. Me and my gorgeous big sis Jessi. We shopped at Paris Market and my favorite shop in Savannah @ Home Vintage General where the super sweet and gracious owner Liz Demos was waiting for us and served us with yummy finger foods and mimosas!!! I fell in love with this chicken wire butterfly cage at Paris Market. Liz and the Flower Fairies. We paid a visit to the locally and now nationally famous Cheryl Day of Back in the Day Bakery. Cheryl and her owner husband Griffith make the YUMMIEST cupcakes!!! Her shop is full of vintage sweet confections. Cheryl welcomed us girls with open arms and was such a sweetheart to chat with. Saturday was the MAIN EVENT!!!! Early noon I hosted a tea luncheon. My Mother and I prepared all the food, and I closed off my dining room to all of the ladies, because I wanted it to be a surprise. I spent much time decorating and transforming my dining room into a dreamy beautiful enchanted garden "feel" for the luncheon. Me and my darling friend Cheryl. We dined outside under the beautiful decorated tent. For many of you that know my artwork it's all about the DETAILS!!!! So I went ALL out on the details of the decor. Tables were set with vintage floral linens, vintage hankie napkins, white wedding chairs that I coverd with vintage embroidered pillow cases and tied with tulle and silk flowers, cherub statue centerpieces, and beautiful vintage bottles of fresh flowers that I decorated with lace, ribbon, and glitter butterflies. I decorated this old frame with vintage millinery, butterflies, and glitter banner created by the super sweet and talented Madai of Forget me Nots from Wren Cottage. I commissioned Kris to make me a banner that says "Welcome Flower Fairies". EEEK!!! Sooooo adorable! Gifts for the flower fairies. I made them each a flower bottle. Andrea hosted a garden swap for us gals and she stuffed all the incredible treasures inside these big beautiful ruffled tote bags she made for us all. It felt like Christmas opening up all the sweet lovelies inside! It felt like an oasis of beauty surrounding us!!!!! Some cute snapshots of the ladies. Andrea and Lorraine who I now call "Miss Pinky" and who always makes me smile!!! The tiniest flower fairy being such the lady! I had TWO surprises for the ladies. I wanted to my retreat and luncheon to have an elegant feel to it, and thought it would be lovely to have a harpist perform. I hired Calista who is an AMAZINGLY talented!!! Her beautiful soft erethreal music really made the event even more special. My next surprise was something both Natasha and I planned. Since she could not obviously be here to attend, Natsha made a "mini me". We ALL cracked up!!! She looked so lovely sitting in her chair. ;) tee! hee! Cheryl and I giving Natasha a sip of champange punch. Not too much tho'....we didnt want her getting too tipsy! After the luncheon we had a little Vendor Fair set up. Tons of sparkley goodies! In the corner of my yard we set up a beautiful outdoor sitting area. My incredible birdcage that I just found a few weeks ago. You NEVER know what's going to happen in this crazzy Georgia weather. Once we got started working on our projects. It proceeded to rain!!!! Thank heavens for the tent. We all huddled about and worked regardless of the short downpour. The rain NEVER once dampened our sprits!!! As you can see Miss Tiffany and Karla thought it would be fun to slide down my childrens slide in the rain. We we ALL laughed hystarically! Such a cutie even when soaking wet! Everyone kept working while it was pouring rain, and we chatted and laughed the whole time. The completed projects ALL turned out sooo beautiful and unique to the artist personality and style!!! Tiffany and Andrea's gorgeous flower pots. Tiffany's stunning flower pot filled with flowers. The girls REALLY LOVED making the fairy ball ornaments. Cheryl's sweet little wee one. This darling little fairy ball has twinkling lights and is made by one of the kindest and sweetest ladies Rosalyn-Sue. Im simply amazed at how everyone's projects turned out. Im still "pinching" myself that I taught my first class! To end our FABULOUS weekend, we all dried off and rested afterwards, than later on got all "dolled up" for a garden cocktail party hosted by one of my dearest friends Suzanne McCrone. She had a beautiful spread of food and cocktails! Andrea, Tiffany, Suzanne, and Lorraine. Suzanne's husband Reg really knows how to make a yummy cocktail! Some fun snapshots of the ladies. Such pretty ladies in their floral dresses. After hours of talking, bonding, and laughing so hard that our tummies hurt we finally called it a night at 1am. Sunday rolled around and it was time for the girls to pack up all their pretties and head home. It was sooo bittersweet! I've enjoyed spending more quality time with my old friends and bonding and getting to know my new friends. Needless to say I was one EXHAUSTED girl!!! LOL!!!! The weekend could not have been more perfect and more beautiful!!! I felt so inspired and creatively rejuvenated by being surrounded by these super talented women! I can't thank you ladies enough for attending my first event and making it a HUGE success!!!! I want to end this VERY long post (thanks for hanging in there!) with a painting the uber talented Karla painted that sums up some really funny (inside joke) moments. Pictured is me as Queen Flower Fairy, Tiffany going down the slide, Lorraine sitting pretty in her chair, Carol with a black eye (long story! LOL! ), Jessi with her pretty pointed toes, Cheryl standing on top of cupcake, Analise giving homeboy peace signs, and Andrea and Kim showing ABC flashcards. Thank you ladies for the memories.... I will cherish this weekend forever!